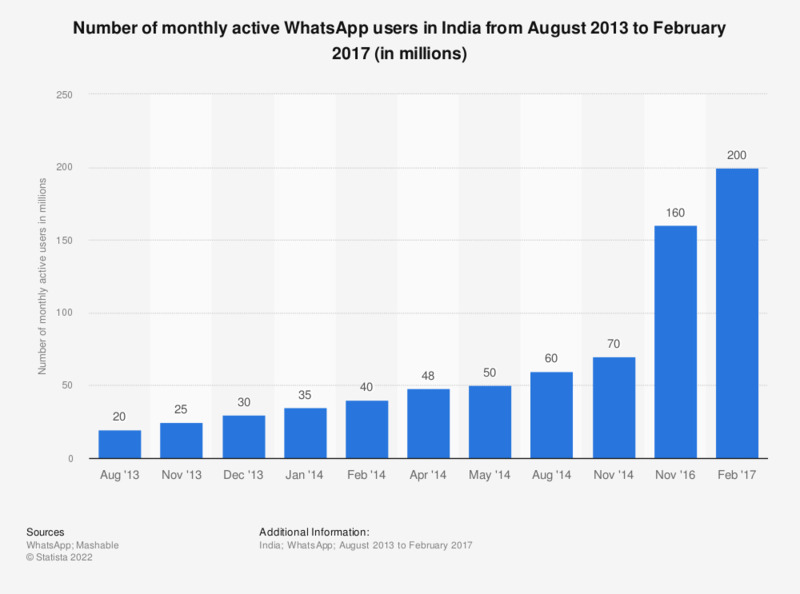 This statistic shows a timeline with the amount of monthly active WhatsApp users in India as of February 2017. During that month, the mobile messaging platform announced more than 200 million monthly active users in the country. As of 2016, 16.32 percent of the Indian population accessed social networks. YouTube, Facebook and WhatsApp were the most popular social platforms in India based on usage reach as of the fourth quarter of 2016. No data for missing period. Data prior to November 2016 from previous publications.